This post brought to you by Gallo Family Vineyards. All opinions are 100% mine. After a long day of work I like to kick off my shoes, turn on some music, and pour myself a nice glass of Moscato. I'm sure most of you like to decompress and relax the way I just described. What if there was a way that we could use our drinking for a good cause? 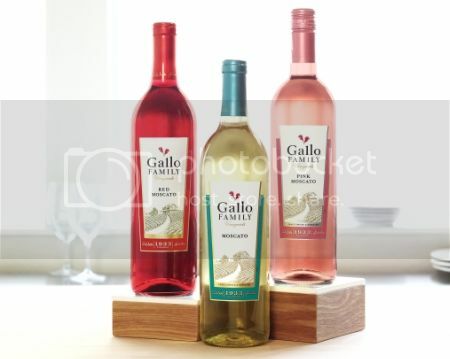 Every time you open a bottle of Gallo Moscato, you save the cork just enough to keep your wine fresh and chilled but after we often throw them away…. but now there is a better solution for those corks. You can Save your Gallo Family Vineyards corks to help raise up to $50,000 for the Meals on Wheels Association of America, every cork counts in helping make a difference for Seniors in need. And now about that celebration, after Cinco De Mayo there's another holiday to celebrate with friends, May 9th is "National Moscato Day". On this joyous occasion it would be a great night to have a Girls Night In, host a dinner party, or even do a Moscato tasting with cheese. Gather some friends and get yourselves ready for a fabulous party on May 9th, join us for the #MoscatoDay twitter party where we can have fun and help raise awareness for the "Every Cork Counts™" campaign! Check Out The #MoscatoDay Twitter Party Details! For more information check out the Gallo Family Vineyards Website and don't forget to Follow @GalloFamily on Twitter. Say Goodbye To Bad Gas With CharcoCaps: Enter To Win $250 in FREE GASoline!